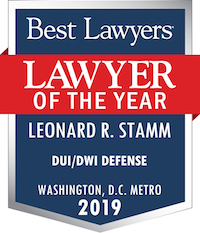 The National College for DUI Defense (NCDD) and the Maryland Criminal Defense Attorneys’ Association (MCDAA) filed an amicus brief late last month authored by attorney Leonard R. Stamm in Motor Vehicle Administration (MVA) v. Deering. Deering was arrested for DUI and requested to take a breath test. Before submitting she asked to call her lawyer. However, the police department had a policy of not allowing arrestees to call their lawyers before submitting to a breath test. 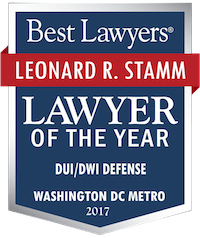 The policy directly contradicts the Court of Appeals‘ holding in Sites v. State that a person accused of drunk driving has a right to contact a lawyer so long as the phone call does not interfere with the State’s ability to conduct the test. Deering submitted to the test and blew a 0.16 At her license suspension hearing for a test of 0.15 or greater her attorney asked the Administrative Law Judge (ALJ) to take “no action” due to the failure to allow her to call her lawyer. The ALJ denied the motion, but was reversed by the circuit court on appeal. The MVA asked the Court of Appeals to hear the case and they agreed to. The issue in the case is whether denial of counsel can be raised as a defense at an administrative license suspension hearing. The amicus brief raises 6 points. 1. The considerations governing the choice of submitting to or refusing an alcohol test are much more complex now than when Sites was decided in 1984, the consequences of a wrong choice more severe, and the need for counsel greater. 6. The remedy for denial of counsel should be to take no action, because a driver denied counsel has neither been “fully advised” of the administrative sanctions, nor intelligently and knowingly refused or consented to a test, because it would be fundamentally unfair to suspend the driver’s license of a driver denied due process, and will be perceived by the public as fundamentally unfair. & Stamm, P.A. at 301-345-0122 for a free consultation.